I won't deny it, I'm not a very good, or even a very keen gardener. However, I do appreciate a beautiful garden and have recently become rather infatuated with roses, to the point where I would definitely love to own and nurture my own rose garden someday (whether someone promises me one or not). And I'm a quite a dab hand when it comes to pot plants. 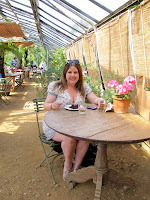 So on a recent glorious sunny day, I ventured off in garden-appreciation mode to Petersham Nurseries. I've heard so many good things about Petersham Nurseries, and not just the fact it's a gardener's heaven. It is also very much a foodie heaven and has a Michelin star restaurant, as well as a gorgeous old tea house. Even though it's in Richmond, it feels as if it's in the middle of the countryside. I passed a perfect village pub, The Dysart Arms (definitely worth a visit), then followed a sign down a small country lane to Petersham Nurseries. When I got there, it was a welcoming blaze of colour. I strolled up and down the various aisles of lush green plants, vegetable and salad plants, fresh garden herbs, dishevelled terracotta pots, rustic garden furniture and lots of pretty flowers. As I ambled further, I stumbled upon the wonderful Tea House, a lovely old building made of timber and exposed brickwork. The Tea House serves light snacks, savoury tarts, fresh juices and a whole range of teas. Old wooden shelves were stacked high with homemade jams and pickles, and the blackboard listing the daily specials was practically wiped clean as the dishes were selling like hot cakes - evidence of just how popular this wonderful hideaway is. 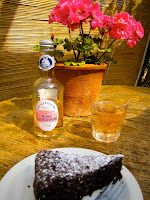 Thankfully the long wooden table still displayed an appetising supply of cakes and buns, so I opted for a slice of flourless chocolate cake and a small bottle of rose-infused lemonade, then found a pew at a table inside one of the characterful greenhouses. It was so relaxing and peaceful, I could have quite easily taken up residence there for the afternoon, inhaling the fragrant floral scents and sipping lemonade. 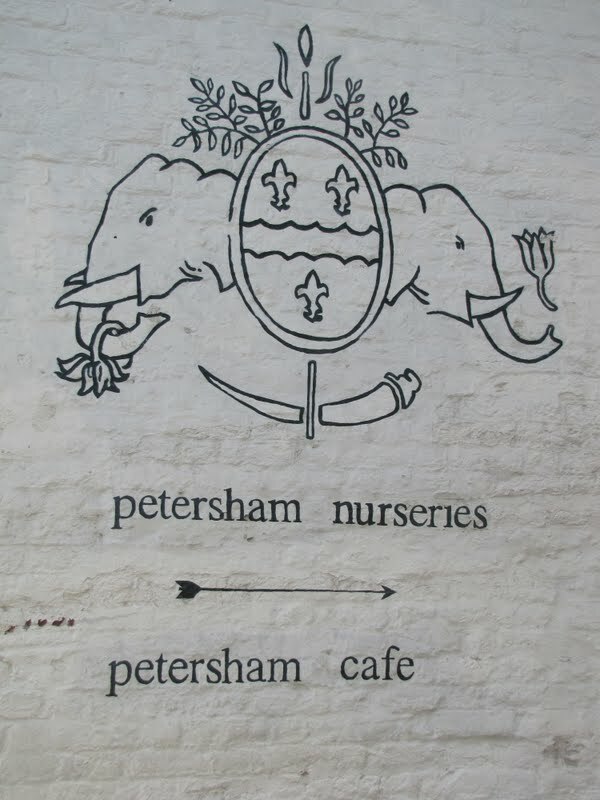 As mentioned, Petersham Nurseries has also become established because of its fantastic, award-winning restaurant, the Petersham Nurseries Cafe. Acclaimed Head Chef, Skye Gyngell, focuses on seasonal produce, and serves such delights as tea-smoked salmon, and loin of lamb with white dandelion and chilli jam. The diners sit inside a beautifully decorated greenhouse, full of flowers and extensive foliage. Due to its Michelin status, the prices are pretty steep, but for a special occasion or a one-off treat, I have no doubt it is worth every penny to enjoy a delicious meal in such an exquisite setting. My budget only went as far as cake and lemonade, but I am determined to make it to the restaurant for my next visit. 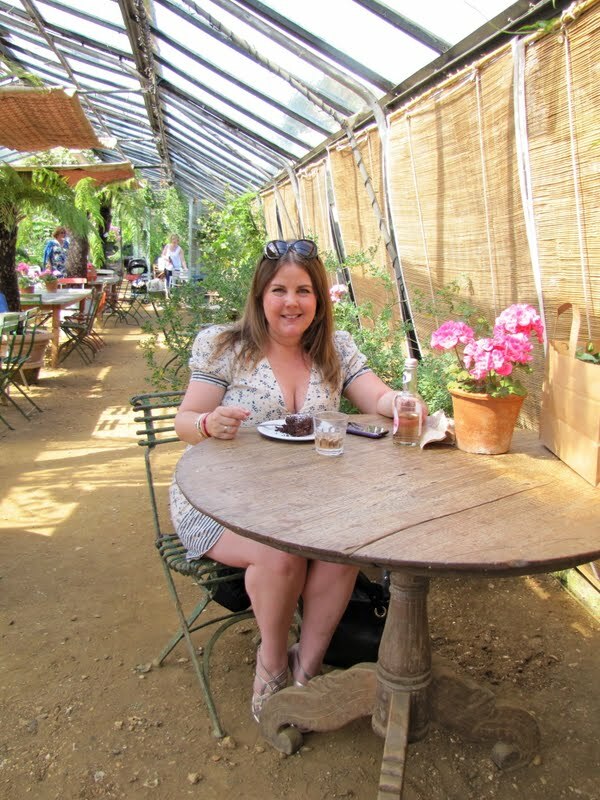 I absolutely love Petersham Nurseries. It is pure bliss, brimming with charm and is a perfect oasis to indulge in stunning plants, enjoy a fantastic meal, a quiet cuppa or just smell the roses. And on a nice day, you can take the river walk from Richmond directly there through the meadow. A great article, I really enjoyed reading it. If you like Petersham Nursery you should try Cedar Nursery (www.landscaping.co.uk) in Cobham, Surrey. They don't have a cafe on site but it's a real find down in the country! They have loads of interesting things to look at, a vast range of plants, vintage garden goods and lovely bespoke planters. They have really knowledgeable staff too. Have fun! I love this post, and the more recent one about London boat venues - I will definitely have to check some out. 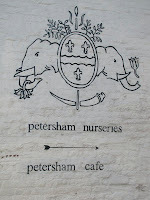 These pics are fantastic and make me want to visit Petersham Nurseries more than I did before. This is a fab blog - keep up the great work!